Eliminate all the items on your to-do list by calling the experts at Wertz Home Improvement LLC in Annapolis, Maryland. No matter the size of your job, our experienced professionals will plan, design, construct, and maintain your project from beginning to end. Whether it's a complete home renovation or just putting in new tiling in your bathroom, we can handle it. Our design-build services are comprehensive and will save you time and money with the convenience of having all your construction services done in the same place. Contact us for a free consultation on our home renovation and design-build services. Wertz Home Improvement LLC is a leading provider of renovations, design-build services, roofing, plumbing, and many other services in Annapolis, Maryland. We are dedicated to serving the needs of our customers each and every day. Our founder got his start in this industry as a third generation carpenter. With over 20 years of experience, our previous customers will tell you that we put your home renovation first. We love returning customers and customers that refer us to their friends and families. Wertz Home Improvement LLC is always building relationships with our clients. We are doing a lot of work for real estate investors, bringing houses up to code. All of the projects that we do are permitted and inspected, and we are an honestly-run company. 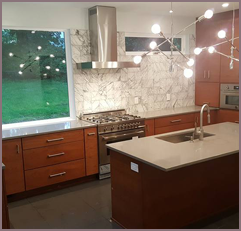 Wertz Home Improvement has a proven record of excellence in designing and managing several building and renovation projects in Montgomery County, Prince Georges County, Howard County, Anne Arundel County, Greater Baltimore, and the DC Area.